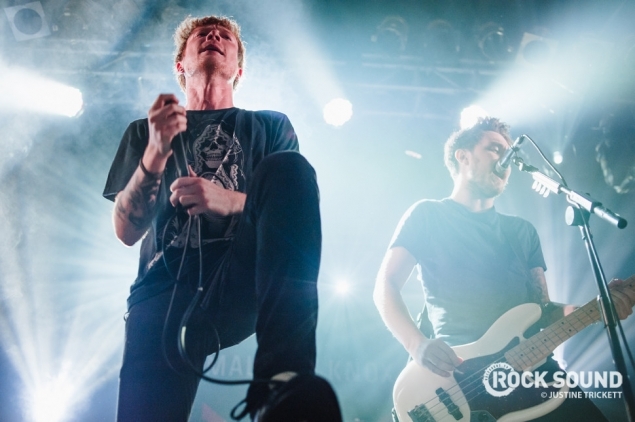 It’s important to remember that Mallory Knox have only been a band for about four years. 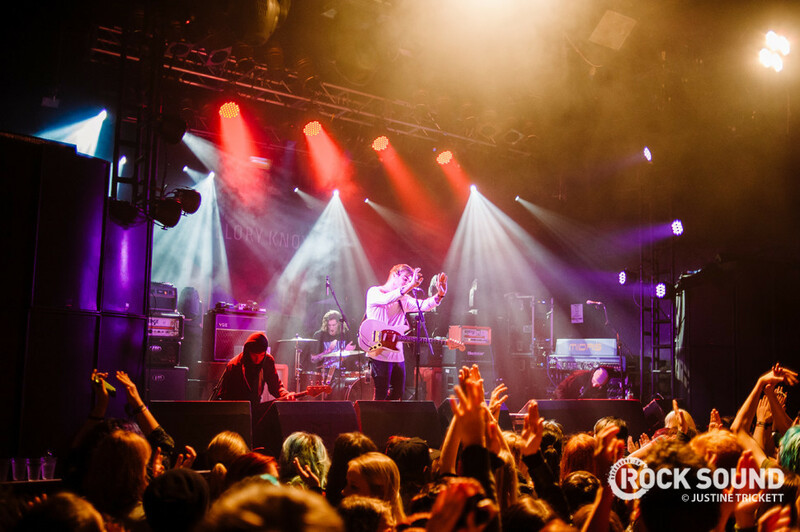 That they can headline one night at London’s Electric Ballroom is a feat in itself, two nights in a row is the mark of a band truly on the rise. Before they take to the stage, though, there’s a diverse range of warm-ups on offer to get through. Canterbury emo punks Moose Blood have been an RS office staple this year thanks to their stunning debut ‘I’ll Keep You In Mind, From Time To Time’ and tonight they bring songs like ‘Pups’, ‘Swim Down’ and ‘Bukowski’ to life. 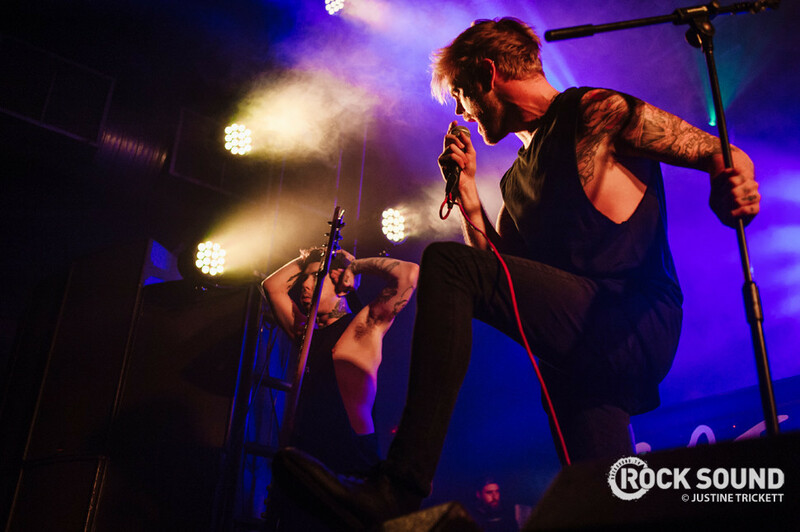 Frontman Eddy Brewerton has the tortured frontman silhouette down to a tee, and it feels nothing but genuine. Fort Hope are a whole different ball game, and perhaps the band here most aligned with the headliners on the bill. Frontman Jon Gaskin certainly has a set of lungs on him, but his over-earnest attempt at getting the crowd moving this early on in the bill feels a bit contrived. Still, the songs and the showmanship are here, and there’s definitely an audience for what they're doing. 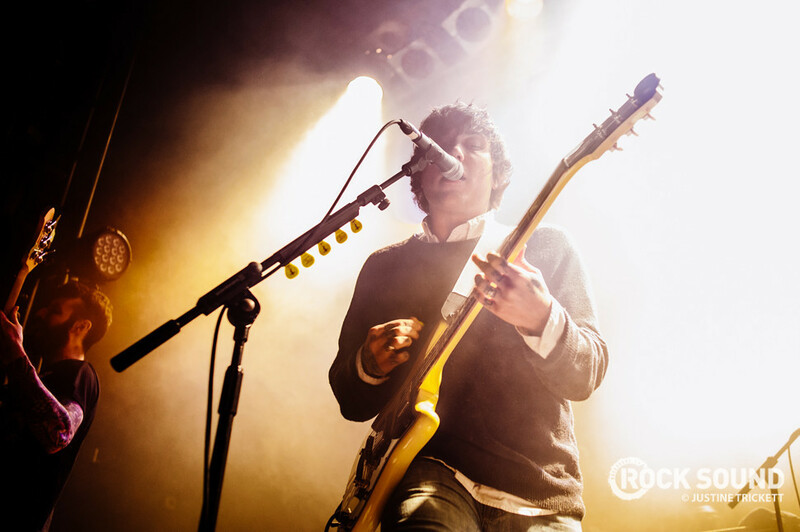 Frank Iero is playing only the second London show of his career under the Frnkiero Andthe Cellabration moniker (his first was down the road a few weeks ago in the cosier confines of The Barfly), but you’d be forgiven for thinking he’s been doing this for years. And he has, of course, but taking centre stage and leading the show after a career standing stage right in My Chemical Romance would be a difficult transition for any. ‘Joyride’ and ‘Weighted’ sound infinitely more palpable than on record, and by the time it’s all over, Frank’s proved well and truly that he’s able to stand on his own two Converse-clad feet. 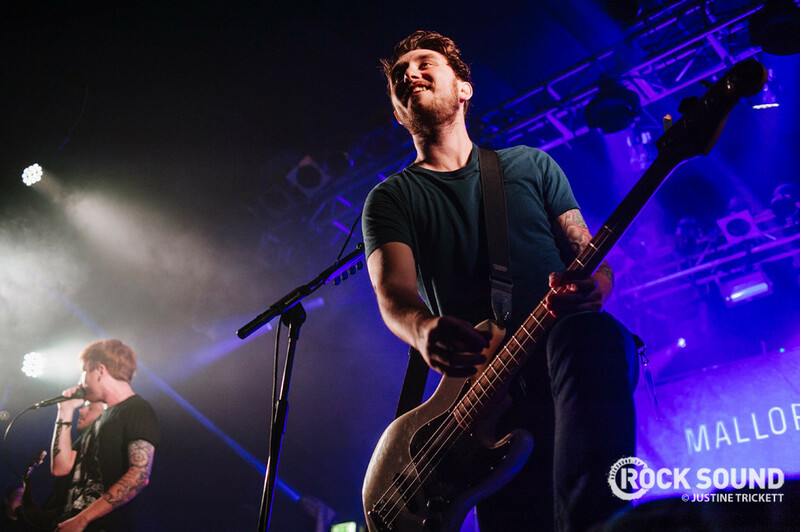 A fair few head to the door after Iero’s set ends, but those who hit the road miss one of Britain’s best young rock bands filing a typically assured performance. 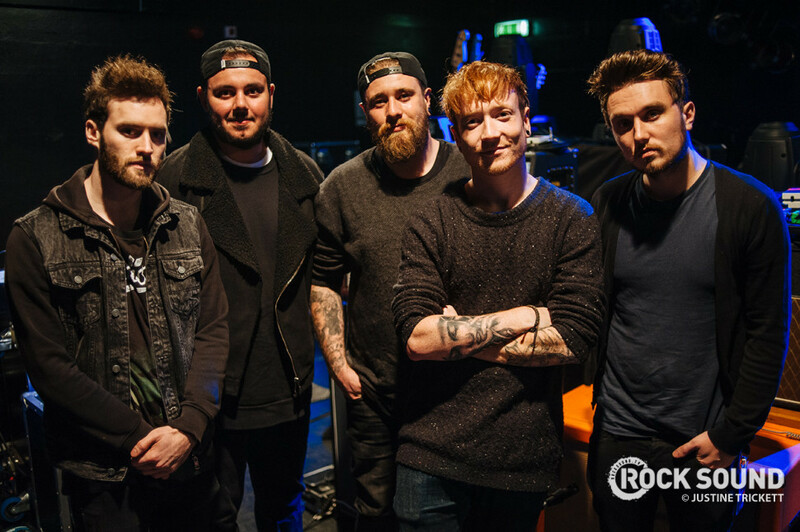 Clad all in black and bursting with confidence after the release of second album ‘Asymmetry’, Mallory Knox quickly set about reacquainting themselves with some old friends. Whether it's a yell to ‘Shout At The Moon’ or a straight-up bounce during ‘Hello’, the front quarter of the crowd are up for it all (and the rest of the room aren’t far behind them). It’s the oldies that get most of the spotlight tonight, with a winding ‘Beggars’, vocalist Mikey Chapman’s soulful peak on ‘1949’ and a mighty ‘Death Rattle’ just about eclipsing newer cuts like ‘She Took Him To The Lake’ and ‘Dying To Survive’. All-conquering finale ‘Lighthouse’ is aided by a sea of phone lights and a couple of hearty blasts of confetti that prove that they’ve got the stage trickery to go with the songs, and on this basis, this band are just passing through this two night residency at the Electric Ballroom, and are on their way to much, much bigger things. For more photos of the evening, take a look at this gallery.